London: In the booming market for supercooled natural gas, the most precious commodity is the ship. Reflecting the white-hot demand for ships, over a dozen different companies, including energy majors BP and ExxonMobil, trading house Trafigura and gas utility Centrica are already looking to charter boats for the winter, months earlier than usual. Last winter, spot charter rates — the cost of renting a ship to transport LNG in real-time — soared to almost $200,000 per day in November compared to around $40,000 in May, squeezing those companies which had left it too late to secure vessels cheaply. Currently, spot rates are around $40,000 (Dh146,920) per day while rates for charters covering next winter are between $70,000-$80,000 a day. Energy groups including Shell, BP, China National Offshore Oil Corp (CNOOC), Cheniere and Gazprom, utilities Naturgy and Centrica and trading firms such as Gunvor and Trafigura are renting vessels for months or years and subletting some of them to competitors. The market for LNG freight trade is relatively new and many companies are reluctant to talk about trading strategies, which are still being developed. “We see LNG shipping as a commodity on its own,” said Niels Fenzl, Vice President Transportation and Terminals at Uniper, an energy firm which along with Shell, pioneered freight trade within the LNG market. We see LNG shipping as a commodity on its own. We were one of the first companies who started to trade LNG vessels around two or three years ago and we see more companies are considering trading LNG freight now. The increased trade has, however, resulted in thinner margins between different regions, meaning less opportunity to profit on spreads between LNG prices around the globe. Last winter, the average premium of Asian prices over Europe was around $1 per million British thermal units (mmBtu). In the winter of 2011-12 it averaged $7.3 per mmBtu, Refinitiv Eikon data shows. “Big portfolio players, like Shell, BP, ExxonMobil and Cheniere, are looking at keeping their ships busy all the time, optimising their positions with their own or third-party cargoes to make sure they can squeeze every dollar from their charters,” a senior industry source said. But, given the potential money to be made, there are shipping companies focused almost entirely on servicing the LNG industry’s immediate or near-term requirements. “The spot market is our priority now given the current rate environment as we don’t want to lock our ships in long-term charters prematurely in the recovery cycle,” said Oystein M. Kalleklev, CEO of Flex LNG, a shipping firm founded in 2006. ■ The market for LNG has exploded in the last few years as countries, in particular China, look to reduce their reliance on coal. Technological developments have also enabled the US to unlock cheap, abundant shale gas supplies. Starting from scratch, the US has become the world’s fourth-largest exporter of LNG in three years. Shell predicts that the volume of LNG traded will rise 11 per cent this year to 354 million tonnes. 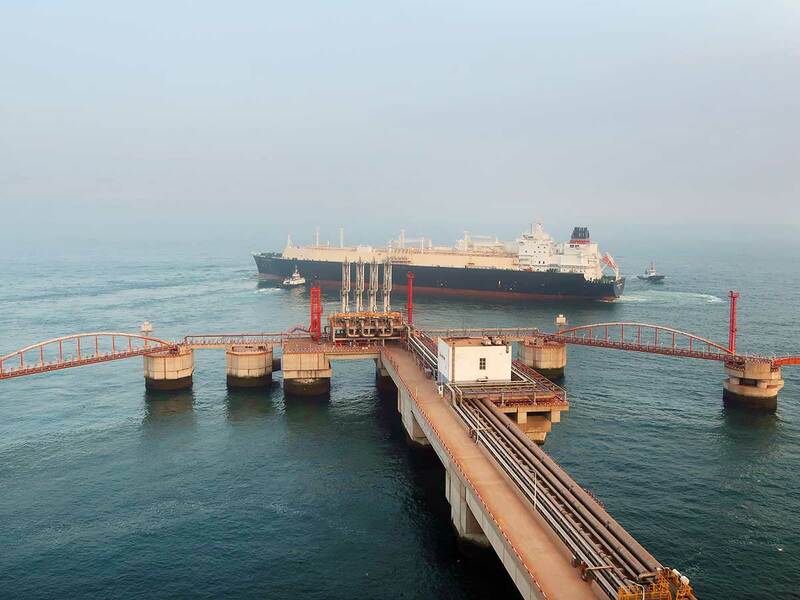 Five years ago, it was 239 million, according to the International Group of LNG Importers. ■ Nearly 50 LNG ships were launched last year, bringing the total fleet to around 550, but with LNG supply growing quickly and seasonal peaks, the margins on LNG shipping rates can be eye-popping. Last year, Cheniere made deals in spring and summer for more than 10 vessels to cover its winter positions. Some ships were chartered at around $70,000 a day and rented out in winter at around $90,000 a day. That trade has become a sector legend and sources said others were trying to replicate it this year.